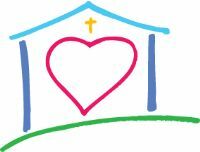 " The House that welcomes, loves and accepts us exactly as we are"
We are a small, friendly, loving Church – somewhere you can feel comfortable, whether you are looking for a new home and church family, or just visiting the area. Our Sunday Morning Services begin at 10.30am and, during term-time, children aged 4 to 11 years are welcome to join 'Lighthouse' for the morning. After the service, we serve tea, coffee and biscuits, and look forward to having a chat so that we can all get to know each other better.